Small changes can lead to a more positive and resilient lifestyle, leading to a happier and healthier life. Therapist, educator and life coach Diane Lang, M.A., will present new ways of thinking and behaving on Wednesday, June 25, from 9:30 am - 12 pm at the Parsippany-Troy Hills Public Library. 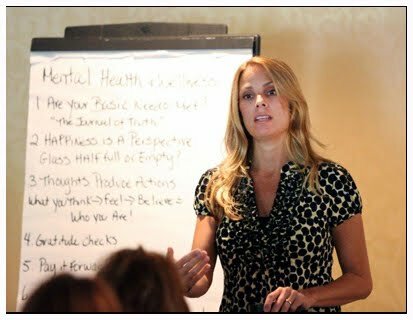 An educator of positive psychology, Diane Lang is a therapist at the Universal Institute in Livingston, NJ, where she counsels patients with traumatic brain injury and substance abuse. She is an adjust professor at Montclair State University and Centenary College, and mentors students as both a career counselor and personal advisor. She has been featured in the Daily Record, Cookie Magazine and has been seen on NJ12 and Fox & Friends. She shares her expertise on parenting and living a positive lifestyle in her bi-weekly column, The Balancing Act, and her blog. Photo courtesy of Diane Lang.